The morning service has the larger congregation. The first fifteen minutes are when all ages are gathered together. After fifteen minutes the children and young people continue in worship and learning in their age specific groups. Holy Communion is celebrated once a month in both the morning and evening services. In the morning service on the first Sunday of the month and in the evening service on the third Sunday of the month. At our monthly morning communion service the children are in age specific groups at the start of the service and come in later where all the church family join together in communion. We often welcome families for Baptism. We tend to allocate one Sunday a month to baptisms. 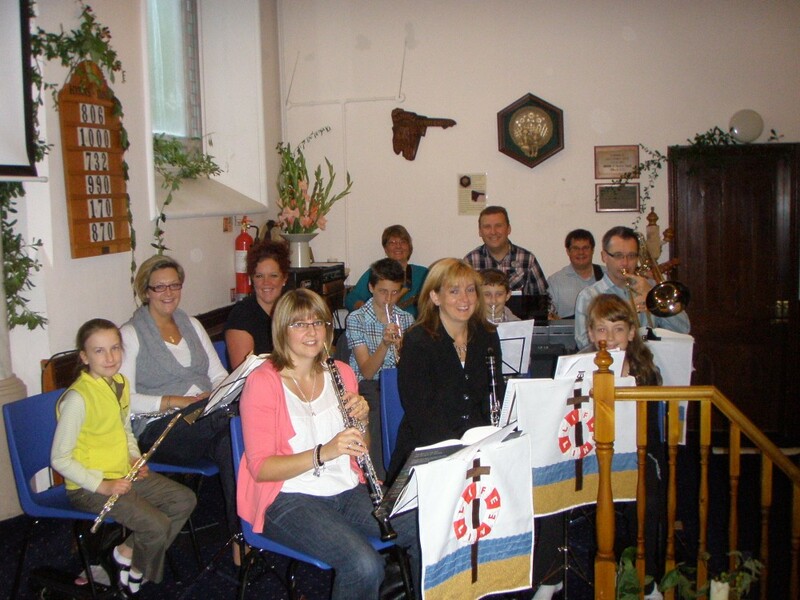 We are blessed with many gifted musicians at Bamford Chapel and Norden URC and we try and utilise the gifts of all of them. Each week following our morning and evening services prayer is offered for anyone who wants it. We have a number of people on our prayer team. Our weekly evening service is at 6.30pm. This service is attended by fewer people than the morning service and allows for more flexibility than the morning service. Styles can vary at this service too. The table at the bottom of this page shows the list of services and preachers.